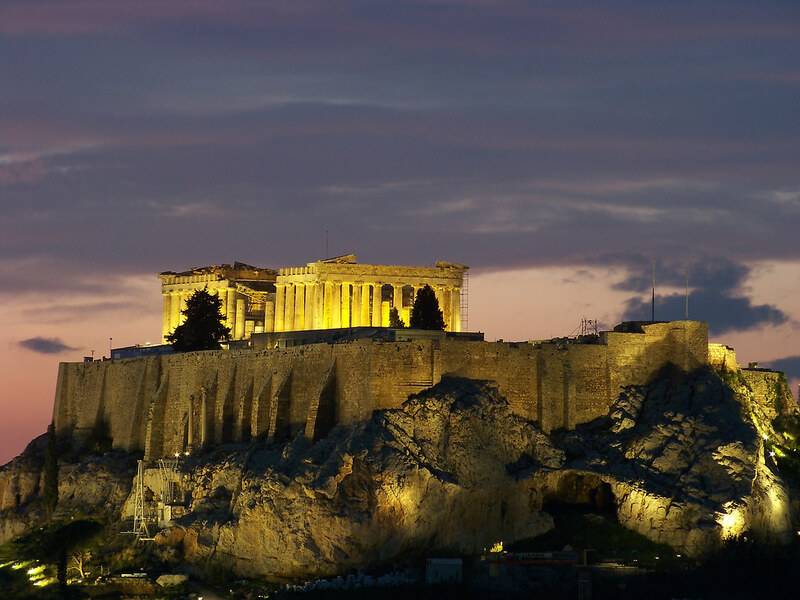 Athens is a global city and one of the biggest economic centres in southeastern Europe. It has a large financial sector, and its port Piraeus is both the largest passenger port in Europe, and the second largest in the world. while at the same time being the sixth busiest passenger port in Europe. The Municipality of Athens had a population of 664,046 within its administrative limits, and a land area of 38.96 km2. The urban area of Athens extends beyond its administrative municipal city limits, with a population of 3,090,508 over an area of 412 km2. According to Eurostat in 2011, the functional urban area of Athens was the 9th most populous FUA in the European Union, with a population of 3.8 million people. Athens is also the southernmost capital on the European mainland. The capital of Greece is sometimes considered the hottest city in Europe and also the driest city. The hills of Athens also provide green space. Lycabettus, Philopappos hill and the area around it, including Pnyx and Ardettos hill, are planted with pines and other trees, with the character of a small forest rather than typical metropolitan parkland. Also to be found is the Pedion tou Areos of 27.7 hectares, near the National Archaeological Museum. The Athens city coastline, extending from the major commercial port of Piraeus to the southernmost suburb of Varkiza for some 25 km, is also connected to the city centre by a tram. Many of the southern suburbs known as the Athens Riviera, host a number of sandy beaches, most of which are operated by the Greek National Tourism Organisation and require an entrance fee. Casinos operate on both Mount Parnitha, some 25 km from downtown Athens, and the nearby town of Loutraki. The blue markers shows the location of various accommodations in Athens. The letter in the marker describes the accommodation types: H for Hotel, A for Apartment, R for Resort, B for Bed & Breakfast and O for Other (e.g. pension, villa). Click on the blue marker for more information on the accommodation.